Take a look at any room in your house and you’re bound to see straight lines. Doors, shelves, mantles, windows, and molding are all affixed in a perpendicular/parallel fashion in relation to a fixed reference point. Both in the construction and successive decoration of a home, certain objects and materials must be installed with a level in order to maintain these straight angles. When most people think of a level they picture a vial level. Carpenter’s levels, line levels, and torpedo levels are all varieties of vial level that employ the use of liquid and bubble filled vials that show whether or not the tool is level when in use. While vial levels are the most common type, modern technology has also allowed for the use of laser and digital light display levels. Every handyman’s toolbox should, at the very least, have a carpenter’s level inside. From there, the type of level you need largely depends on the job at hand. Stabila’s motto is “Always Trust, Never Adjust,” so you can rest assured you’re getting a foolproof and dead accurate tool, guaranteed. This level set includes 48-inch and 16-inch aluminum levels, both of which have been electronically calibrated and received a certification of accuracy. Each level uses clear vials that are epoxy-locked into the frame with spring-steel hairline indicators to clearly display when the level is set. The vial fluid has is an evolved century-old formula that maintains its accuracy even in the most extreme working conditions and temperatures, from -5-degrees to 165-degrees. The frame is constructed of a strong and lightweight aluminum frame that has oversized handholds with rubber grips in addition to removable rubber caps for getting a grip on walls and floors without leaving a scratch. The Stanley FatMax 72-Inch Non-Magnetic Level is constructed of a single piece of aluminum extrusion measuring 72-inches in length. 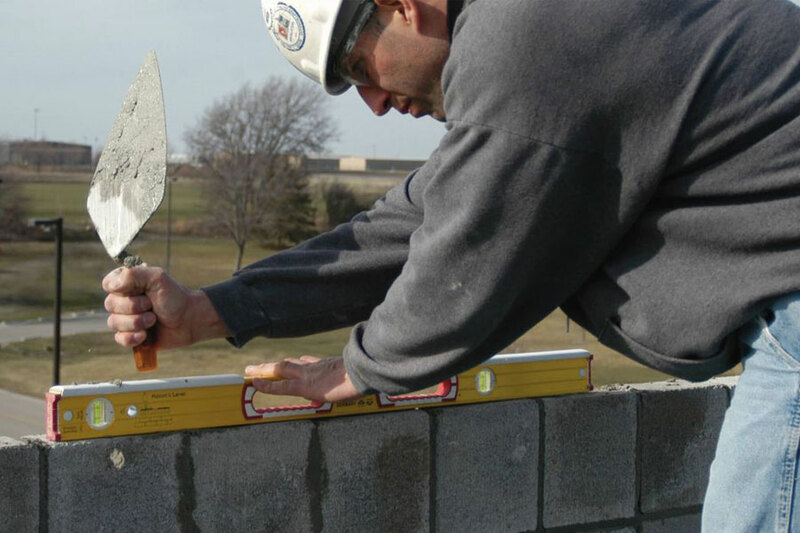 This solid construction means the FatMax level will stand up to all the use and abuse you can through at it, whether on the jobsite or in the basement. The level uses two block vials on either end of the shaft along with a centered MaxEdge vial optimizes accuracy regardless of the surface and provides an easy to read display while scribing continuous lines. Synthetic hand cutouts on both ends of the shaft offer up a comfortable grip, while two shock absorbing end cap bumpers prevent marring and scratching without offsetting the level’s balance or ability to fit flush on measuring surfaces. With the Stanley FatMax level, you’re getting a quality product made in the USA from a manufacturer known for some of the best tools on the market. If Empire knows one thing, it’s how to construct a quality level that construction workers, handymen, and do-it-yourselfers can all appreciate. The EM51 Heavy Duty Magnetic Level measures 48-inches long and is constructed of 6061 aircraft-grade aluminum that won’t bend or break. The level’s stellar accuracy comes from the True Blue vials held in an advanced concentric molding with funnel-shaped bevels that protect them from impact or abrasion. These vials provide an accurate reading up to 0.0005-inch, or the equivalent to the width of a dime over 8-feet, double the length of the level itself. The True Blue fluid provides enhanced readability in all working conditions and lighting. The level has two handholds on either side of the center vial, plastic end caps to prevent scratching, and a magnet on one side that allows you to affix the level directly to a metal working surface.